By Stewart Smith on 2018-01-29 - Stewart was the former motoring editor of the Coventry Telegraph and is now a freelance contributor to Eurekar. 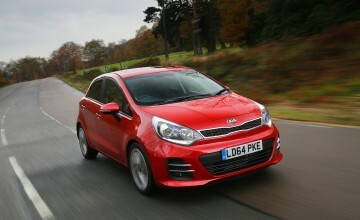 He is based in Scotland and specialises in First Drive reviews. 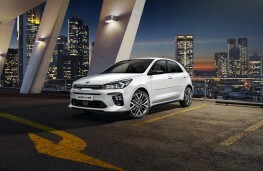 A SPORTY Kia Rio GT-Line will be making its debut at the upcoming Geneva Motor Show and goes on sale in the spring. 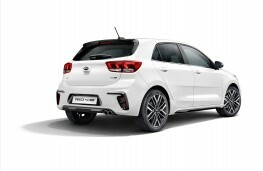 The new Rio is the latest Kia model to be available in GT-Line specification, following the recent introduction of Sportage, Picanto and Sorento GT-Line models. Broadening the appeal of Kia's global bestselling small family hatchback, the new Rio GT-Line has a turbocharged engine with a sporty look inside and out. The GT-Line is powered by a 1.0-litre T-GDi engine which contributes to the car's dynamic characteristics thanks to its light weight. The three-cylinder power unit provides the Rio GT-Line with its peak 118bhp at 6,000 rpm, with 171 Nm of torque available from 1,500 to 4,000 rpm. 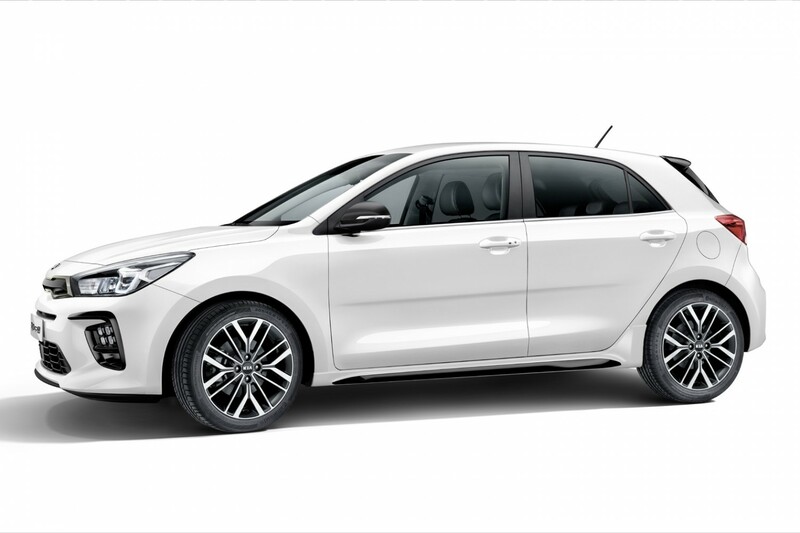 Kia claim the Rio GT-Line is capable of 60.1mpg, with CO2 emissions of 107g/km. It is paired with a six-speed manual transmission. 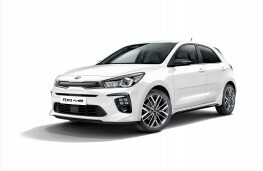 Later in 2018, the GT-Line will also be available with naturally-aspirated 1.25 or 1.4-litre petrol MPi (multi-point injection) engines, and Kia's seven-speed double clutch transmission. 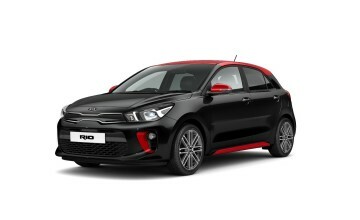 The five-door Rio GT-Line introduces new design features such as a gloss-black and chrome "tiger-nose" grille, GT-Line 17-inch alloy wheels, and "ice-cube" LED fog lamps similar to those on the Kia cee'd GT and pro_cee'd GT. The exterior is finished with twin exhaust tips, LED daytime running lights, chrome window trim, a gloss black roof spoiler and sill highlights. 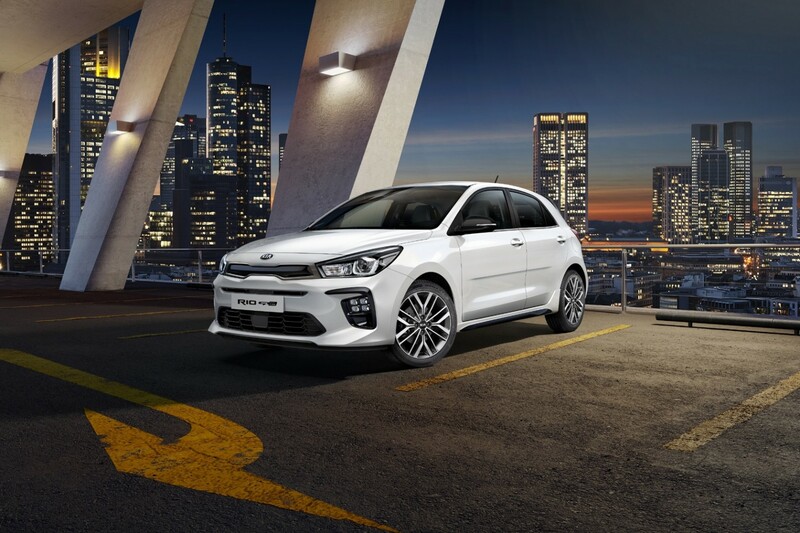 The Rio GT-Line also gets standard aluminium pedals and bi-projection headlamps, which turn into corners as the driver turns the steering wheel. It also comes with an optional seven-inch touchscreen which includes navigation, and Apple CarPlay and Android Auto for full smartphone integration. A rear-view parking camera, heated steering wheel, and heated seats are also available. 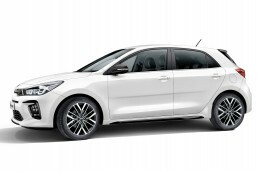 Luggage capacity is 325 litres and the Rio has aded practicality with a split level boot. 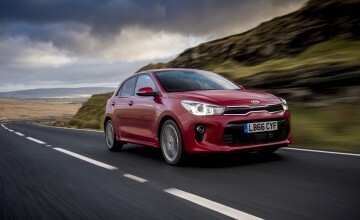 Michael Cole, chief operating officer for Kia Motors Europe, said: "The Rio is one of Kia's best selling cars globally, and we have already sold more than 54,000 units of the new model in Europe after it went on sale in the first quarter of 2017. "The new GT-Line specification enhances the car's desirability and will help grow Rio sales in 2018 and beyond, thanks to its range of comfort and safety features, superb versatility, and confident, sporty styling." Full UK specification and prices for the Rio GT-Line are likley to be announced around the time of the Geneva show next month.